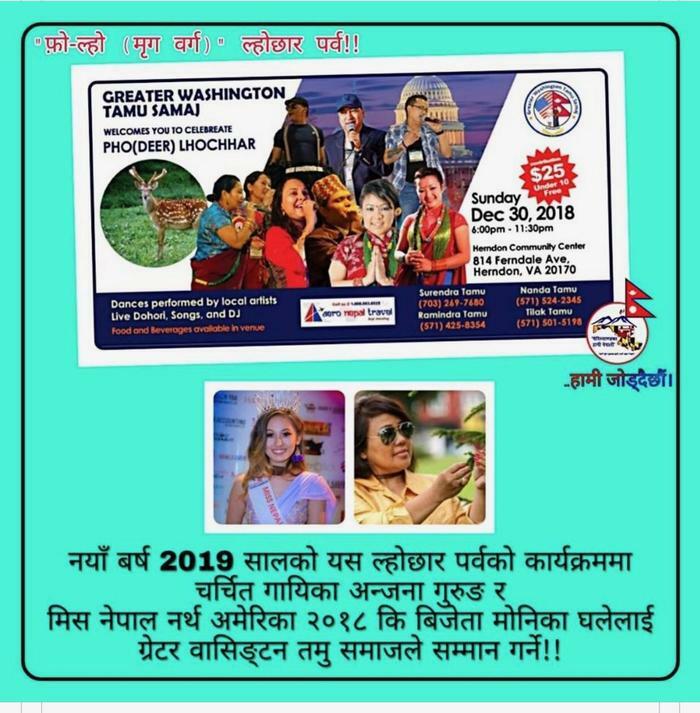 is celebrating one of the biggest traditional/cultural event "Lhochar "
Mark on you calendar to celebrate Pho-Lho Lhochhar 2018 with GWTS this year on following date. Venue: Herdnon Community Center. 814 Ferndale Ave. Herdnon, VA 20170. How we will celebrate this year?